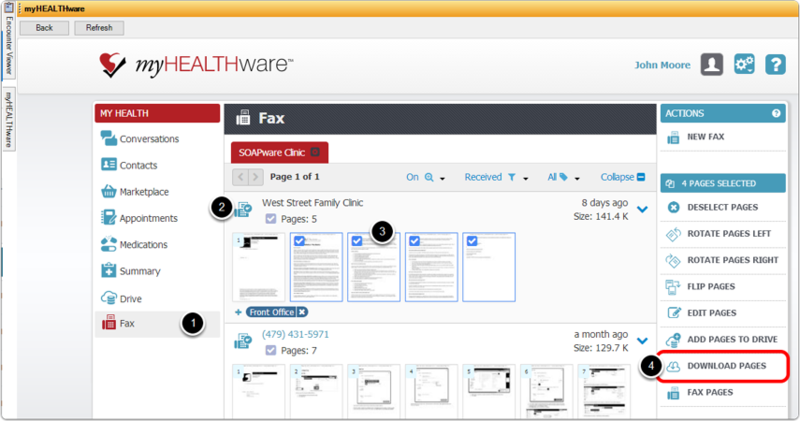 To attached a fax to a patient chart, you must access myHEALTHware from inside of SOAPware. To open myHEALTHware in SOAPware, go to Tools > myHEALTHware > Open. *Note: The myHEALTHware window can be placed as a docked tab in SOAPware for quick access to your conversations and faxes. For information on how to dock a tab, see: Doc a Tab. Click the Fax tab in the My Health panel. 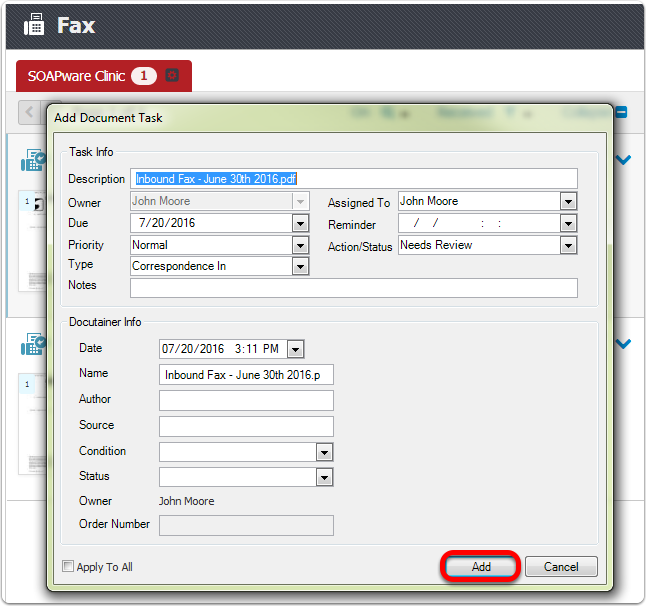 Select the fax that you wish to download by clicking on the line item. If you want to download only certain pages of the faxed document, click on the pages to select the ones you wish to download. Clicking Download Fax will download all pages of the fax (only available if no pages are selected). Clicking Download Pages will download only the selected pages. 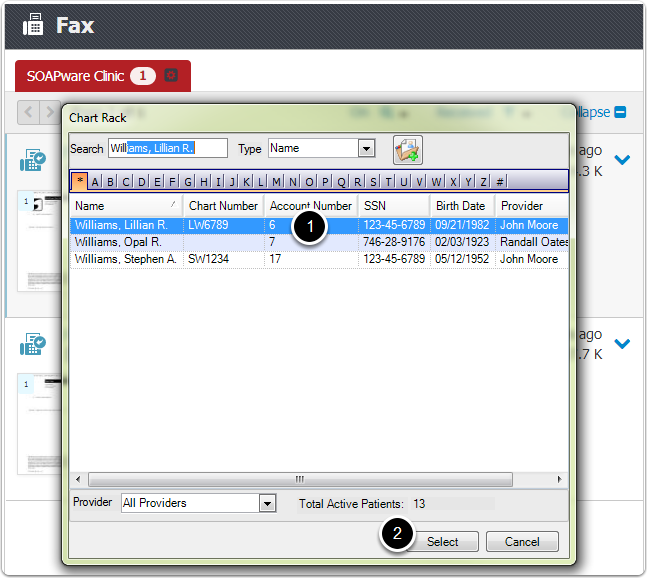 Patient Chart: Select the Patient Chart button if you wish to add the fax directly to a patient chart. My Computer: Choose My Computer if you wish to download and save the fax to a folder or location on your computer. Cancel: Click Cancel to discontinue this action. Next, you will be asked to select the patient chart from the Chart Rack. 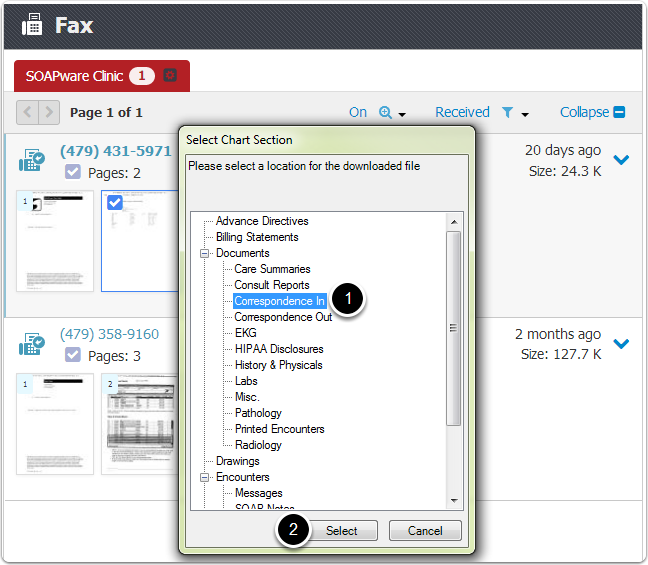 Select the chart section where you want to save the fax, then click Select. A task item will be created for the fax that was added to the chart. Edit the task information as desired, then click Add. 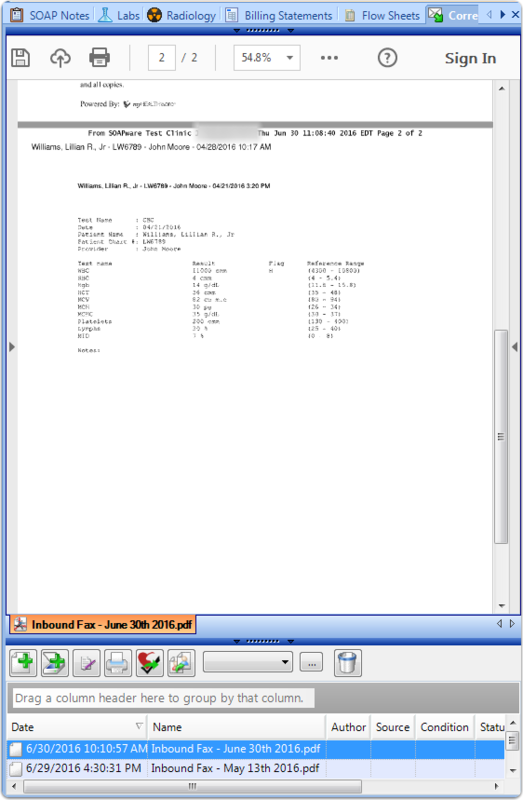 The fax will be imported into the patients chart, as shown in the above example.